We are Electrical Contractors who have been in business since 2008 in South Florida and have over 30 years experience in the electrical field. We pride ourselves in providing superior customer service and quality work for our customers. 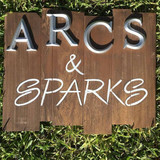 Our customers include, high end designer lighting stores, interior designers, and general contractors in the Miami area. We take pride in what we do and in leaving your home exactly the way it was when we arrived. We believe in providing our customers with the absolute best service experience! It is the reason why our business is based on 100% customer referrals. We believe in building a long term relationship with our customers based on trust and reliability. For Mike Keenan, owner of MJK Electric, Inc., the solution is simple! Make sure the customer's call is answered as prompt as possible, respond rapidly, respond effectively, efficiently, and invoice the job appropriately and fairly. Make sure all personnel on any jobsite are courteous, respectful of the customers property and privacy, leave the jobsite clean, and without a doubt be trustworthy and non-intrusive. When you have an electric outage, you need to minimize your "down time", have the problem fixed correctly and the cost of the repair to be fair and affordable. You need an electrician that responds quickly with expertise, that is licensed and insured and a professional that will stand behind their work. With nearly 15 years of experience, responding to electrical service calls in Broward, Dade, & Palm Beach counties, MJK Electric, Inc. has consistently satisfied customers. Keeping afloat in any service oriented industry means consistently exceeding customers expectations. MJK Electric, Inc. has one goal: to get your electrical issues resolved as quickly as possible, at the best price, keeping you satisfied and stress free throughout the process. Created by Leonard J. Kasper in 1978, Kasper Electric has been providing prompt, reliable, and efficient electrical service to our residential and commercial clients in Palm Beach County and the surrounding areas. Begun in his home in Jupiter, Florida, Leonard’s first year saw a mere $10,800 in sales. In the years since, Kasper Electric has grown in size and scope, providing residential service from Martin down to Broward County and commercial electrical all over Palm Beach and into Martin County. In 2005 the second generation of the Kasper family, Leonard’s son Justin, came on board as a construction helper. By 2010 Justin had passed his Master Electrician’s exam and starting estimating jobs for our service division and working as a foreman in our construction division. 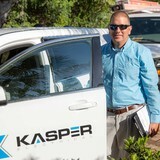 Today, Kasper Electric is led by Justin, whose goal is to bring quality of life to as many people as God brings to him.Kasper Electric is your trusted choice for local electricians in West Palm Beach. Our highest priority is to bring you excellence in our services, while meeting your needs with timely, technologically savvy solutions. We are confident you will be 100% satisfied with our electrician’s level of expertise and our care for you as a valued client. When needing an electrician in Palm Beach and the surrounding areas, allow Kasper Electric to serve you! Richard A. Jones Electric, Inc.
R.A.J. Electric Inc. of Jupiter, FL is an electrical contractor that matches it's top-notch electrical know-how with careful workmanship and true customer service. 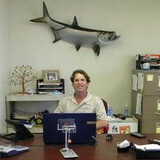 Our company is licensed, bonded, and insured; and has served northern Palm Beach County for more than 25 years. We value our relationship with our customers and work hard to maintain your trust. For reliable electrical work by skilled, uniformed electricians with prompt, expert electrical service, repairs, and installation of electrical wiring and components contact us today. We offer up-front pricing and guarantee 100% customer satisfaction. For over 70 years Gilmore Electric Co. Inc. has been providing South Florida with quality Electrical Service as well as Electrical Construction needs for not only Residential clients but also Industrial and Commercial clients. Our commitment to Integrity has allowed us to have an un-matched reputation in the community. With four generations of knowledge, Gilmore Electric has the expertise to help you with any need you may have. Whether you are a Permanent or Seasonal Resident our service department is able to perform any maintenance or repair needs you may have. Riverside Electric & Contracting Services, LLC's electricians provide the highest level of service and workmanship to our South Florida customers. Our company is family-owned and professionally run to provide personal, quality and timely service. We offer 24 hour, 7 day a week service to the greater Miami area. Riverside Electric & Contracting Services, LLC had its genesis over 90 years ago. One of its current owners is a 4th generation contractor. As such, the old ways of doing business, honesty, integrity and hard work are instilled in our company today. Next Level Lighting Services, Inc.
We specialize in Residential Custom Homes, Luxury Apartments, Creston Technology. Light Speed Electric have made up a team of dedicated and expert electricians who are experienced in providing exceptional services to ensure reliable outcomes and complete customer satisfaction. Our primary business specializes in residential and commercial electrical service and repair, maintenance, upgrades, charging stations, transfer switches, and more. 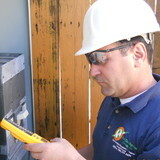 What do licensed Pompano Beach electricians do? An electrical contractor plans, installs and repairs wiring in structures. He or she works closely with the home’s general contractor or remodeling contractor to determine the specific electrical needs for the project and to ensure that the wiring will meet Pompano Beach, FL building codes. An electrical contractor’s job also includes installing and repairing fixtures, switches and other visible components of electrical systems. With today’s technological needs and advances, many electricians in Pompano Beach, FL also are trained to install fiber optic and coaxial cables for electronic equipment. Certain electrical companies may design and install data systems and wire for security features such as alarms too. Some Pompano Beach electrical contractors specialize in specific areas, such as HVAC, low-voltage appliances and systems and more, so be sure to ask about their training to see if it fits your project needs. Find a certified Pompano Beach electrician on Houzz. Narrow your search in the Professionals section of the website to Pompano Beach, FL electrical contractors. Here are some related professionals and vendors to complement the work of electricians: Lighting Showrooms & Sales, General Contractors, Solar Energy Contractors, Heating & Cooling Sales & Repair.